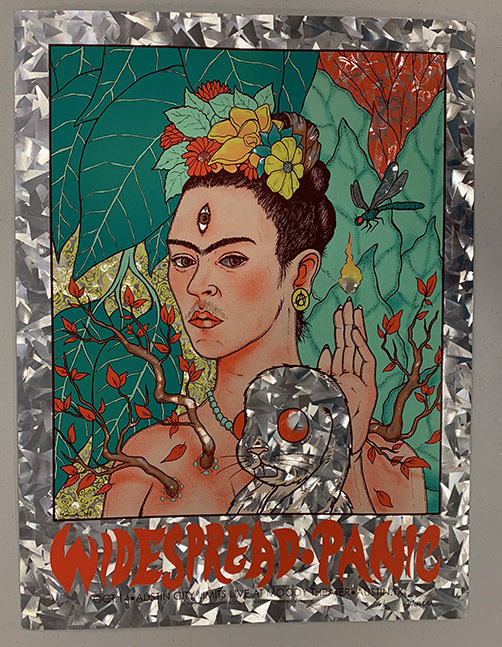 Original FOIL silkscreen concert poster for Widespread Panic at Moody Theatre for ACL in Austin, TX in 2014. 18 x 24 inches on holographic foil paper. 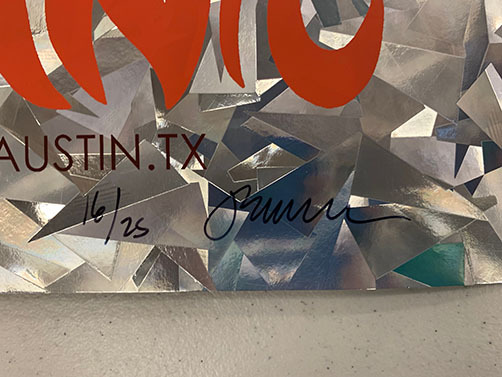 Signed and numbered 16 out of only 25 by the artist Jermaine Rogers. Image portrays Frida Kahlo.